Maximilla Imali breaks 33 year old 400m record. 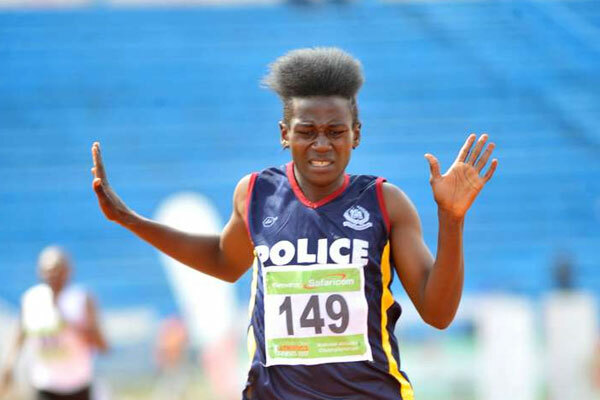 Kenya Police runner Maximilla Imali, broke the national women’s 400 metres record at the 2017 Kenya National Athletics championships. Her time of 51.18 sliced almost half a second off the previous record that was set by Ruth Waithera at the 1984 Olympics where Waithera reached the final. In the process Waithera who was on scholarship at the University of Arizona, became the only Kenyan female sprinter to reach an Olympic final. Waithera’s record had been broken twice, first by Elizabeth Muthuka in 2008 and again by Joy Sakari in 2015. Both were disqualified after failing drug tests. Imali reached the final of the 800m at the 2014 World Under-20 and also ran in the 2017 world relay championships. Her new time qualifies her for the 2017 world athletics championships. Though she has broken Waithera’s record, Imali has a long way to go before emulating Waithera who won a bronze medal at the Africa athletics championships in 1979 before reaching the Olympic final in 1984. This entry was posted in Kenya Athletics News, Kenya Sports news and commentary and tagged Maximilla Imali. Bookmark the permalink.